Procuring Russian S-400 defense systems is a matter of national security for Turkey, and the real issue with the U.S. is not about the missiles, but its weapons support to the terrorist PKK-linked People's Protection Units (YPG), the ruling party spokesman said Friday. 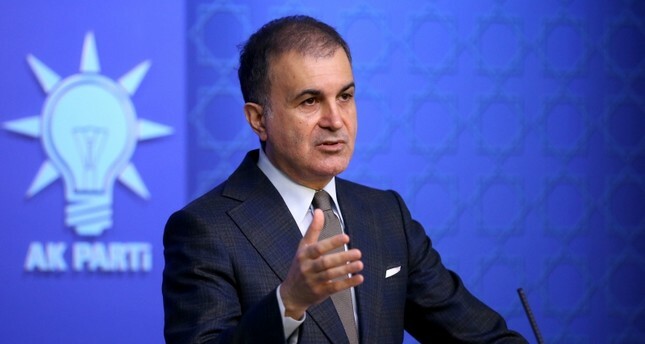 "Similarly, questioning Turkey on the F-35 program is like questioning NATO's joint projects and the collective concept of security," Ömer Çelik told reporters at the Justice and Development Party (AK Party) headquarters in Ankara. "Contesting Turkey's partnership is like contesting NATO," Çelik said, adding that NATO does not have an article named F-35 but has Article 5, which states that an attack against a member state means an attack against all members of the alliance.